A University of Delaware professor who said Otto Warmbier had the "typical mindset of a lot of the young, white, rich, clueless males who come into my class" has lost her teaching position. Katherine Dettwyler wrote her criticism in a personal Facebook post, adding that Warmbier "got exactly what he deserved," according to the New York Post. 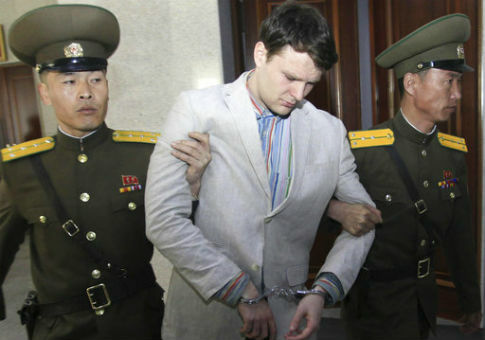 Warmbier, a University of Virginia student, was sentenced to 15 years of hard labor in North Korea after the totalitarian regime accused him of attempting to steal a propaganda poster on his last day there. After 17 months of detainment, Warmbier was released to the United States in a coma on June 13, and died six days later. "Katherine Dettwyler, who last taught in the spring as an adjunct faculty member, will not be rehired to teach at the University in the future," read a statement from the school. "The comments of Katherine Dettwyler do not reflect the values or position of the University of Delaware. We condemn any and all messages the endorse hatred and convey insensitivity toward a tragic event such as the one that Otto Warmbier and his family suffered," the school said. "The University of Delaware values respect and civility and we are committed to global education and study abroad therefore we find these comments particularly distressing and inconsistent with out values. Our sympathies are with the Warmbier family." University of Delaware newspaper the Review reported that Dettwyler earned a reputation for incorporating her political beliefs in her teaching. The professor would frequently go on political tangents and often made derogatory remarks about President Donald Trump and his supporters. "A couple of students complained about my comments in class about Trump, when what I did was talk about statements he himself had made, and lead the students through and analysis of the underlying cultural beliefs they reflected," Dettwyler stated. "This is part of my job as an anthropology professor." This entry was posted in Uncategorized and tagged College Campuses, Education, North Korea, Otto Warmbier. Bookmark the permalink.